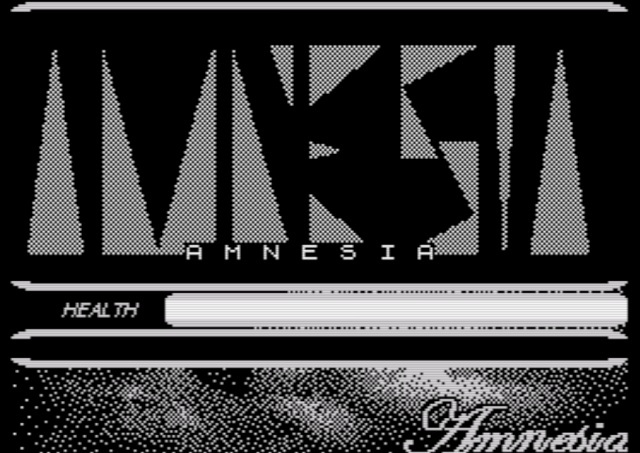 Indie Retro News: Amnesia - First person adventure for the ZX Spectrum now in English! Amnesia - First person adventure for the ZX Spectrum now in English! 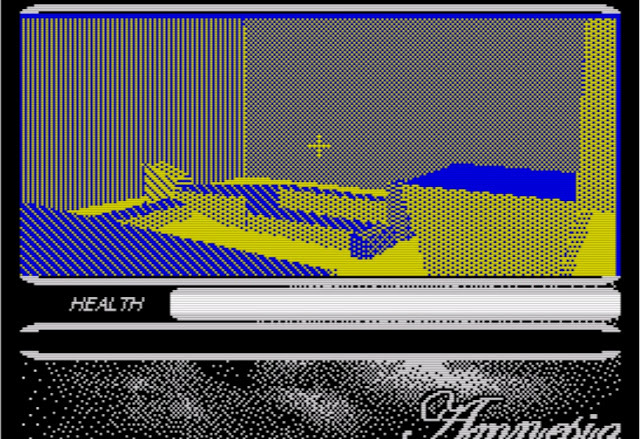 Our good friend Asger Bonnevie gave us the heads up recently for the English release of huelvy's new ZX Spectrum game ' Amnesia ', which was developed using the Freescape engine "3D Construction Kit". First released in Spanish and now fully translated, this is a first person action/adventure game in which you start in a prison cell, with no memory of how you got there, and who you are. The only beginings to your story is a gun in your hand and a corpse in front of you. Although I'd love to play this game and give my full of view of how impressive it is to play on a ZX Spectrum moving around in a first person 3D world, I'm afraid not only does it really hurt my eyes but the intense colours, sharp line walls and pin sharp dots are more than likely to set of a rather hefty migraine. But hey it's free and it's in English for the ZX Spectrum, so that in itself is a plus +1 in my book.